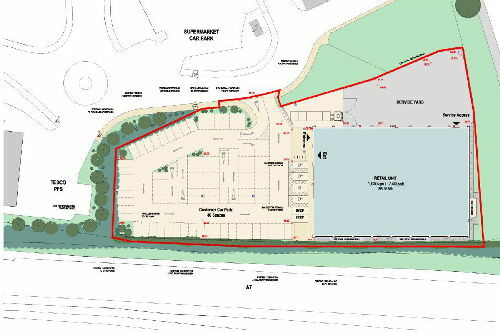 Plans to build a retail unit on the land south of the petrol station at Tesco Hardengreen have been rejected by Councillors. At the Midlothian Council Planning meeting today Councillors supported the planning officers recommendation not to support the application. The planning officer’s report said the proposed development was contrary to the relevant provisions of the Strategic Development Plan, the Midlothian Local Plan, the Midlothian Local Development Plan and National Planning Policy. – the loss of landscaping along the sites boundary would be detrimental to the visual amenity of the area. At the same meeting there was pretty uniform agreement across party lines that Scotland’s planning system is in need of change. “There is frustration that decisions made by locally accountable Councillors can be overturned by The Scottish Government’s Reporters’ Unit, even in the absence of any notable flaw. You can read the planning officer’s report in full HERE.